18 posts categorized "Musings and Rants . . ."
You like a bit of jazz with your holidays? What are your favorites? Last night I took up Karl Stabnau's offer of a couple of tickets for his 6th annual Charlie Brown Christmas show at the Little Theatre. As Karl's quartet of former Eastman students, who are now professional musicians all over the country, did their interpretations of a number of holiday classics, plus a set of the tunes from Vince Guaraldi's classic recording, I was it reminded of how much I enjoy holiday tunes reimagined through a jazz lens. 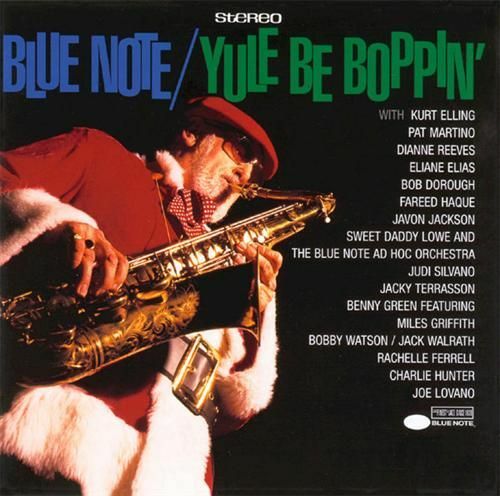 We decorate for the holidays with jazz on the turntable. So where do your favorite holiday jazz sounds come from? 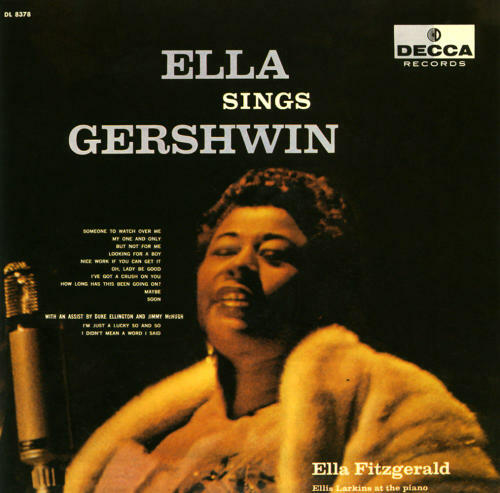 Have any favorite jazz CDS, either compilations or by your favorite artists. 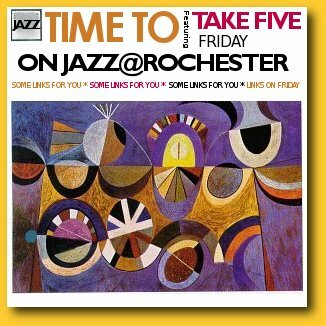 Let us know in the comments (click on the link at the bottom of the post to add one), or join the conversation on the JazzRochester Facebook page or on Twitter. By the way, if you want some of these sounds in your own home, click on one of the images above to buy on Amazon (affiliate links). Hat tips to the NextBop and Lubricity blogs who turned me on to this speech in 2011 (the latter updating us to some work by historians showing these words were the festival program and not a speech, since MLK was not at the festival). 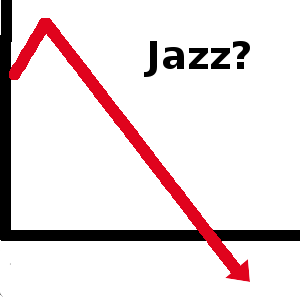 Are we "laying off" jazz during this recession? 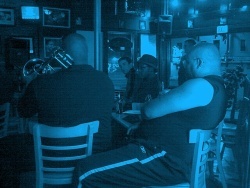 As the effects of this recession take hold, some are asking whether jazz is recession-proof,as in a recent post on Jazz.com musing on the "big elephant in the corner of the jazz club that no one is mentioning" of what may happen to the music as the layoffs and financial uncertainty unfold. Musicians will carry on--there's no evidence of musicality vanishing in the financial meltdown--but there are few young players emerging who believe they can survive without doing something other than playing. Let's not kid ourselves that jazz is immune from economic downturns. Sure, the music will survive. It survived the 1930s and has done OK during all the other recessions since then. But don't kid yourself. Like the rest of us, musicians will have to make choices when faced with the realities of this economy and sometimes those choices will undermine their art. And it is not only the musicians. Venues around here are already cutting back on the amount of live music. Restaurants in general, on which our local jazz scene is heavily reliant, seem to be getting hit pretty hard. Some of them will not be around in a year or two. I wouldn't hold my breath on jazz getting much of the stimulus package. We here in Rochester are blessed with incredible local talent, young and old, a major music school, a jazz festival that is putting us on the international jazz map, and more than our share of opportunities to hear artists from out of town who played NYC or Toronto the night before and are known to jazz audiences throughout the world. So what can we do? Like I ask most Wednesdays in the Jazz@Rochester jazz listings, just try to get out and hear some live jazz. Take a chance on an artist, either local or from out of town, who may not be familiar (I try to link to sources where you often can hear them or watch a video of a performance). Even if we are still heading for harder times, at least we'll doing so tapping our feet and nodding our heads. I'd love to hear your thoughts on how this recession will be affecting the music in Rochester and in general in the comments to this post. Tom Kohn is relentless .... He is passionate about the music that inhabits the edges of our listening and he wants to share that passion with Rochester. He doesn't care that, from all evidence, there are few around town who share his feelings. Listening to music that challenges him fills him with joy and Tom simply is going to root out those who the music has a chance to reach and then try to share his joy with them. This desire in him has led him to spend more than 25 years running the Bop Shop, arguably one of the best remaining independent record stores in the country and also to put on more than 200 jazz (and another 50 or more rock, blues and other music) events near his store and elsewhere. He continues to branch out in his work of proselytizing. It is why he recently formed a nonprofit, Bop Arts Inc., to help fund more of this innovative and improvisational music throughout the year. It definitely ain't making him money. A similar passion is why I do this blog. I'm not trying to shove one type of jazz or another down any of my readers' throats. I just want you to try once in awhile to open up your ears to something other than what you've always been told to was “good music” by others. So I came down to the Bop Shop Atrium on Sunday night, March 1st, to check out the symposium, called “The Making of a Music Community: Perspectives on New Music from Performers and Listeners," that Bop Arts put on to bring musicians and others together to talk about building a community of music. In this world, the “experts” are the musicians. Like the music that Tom programmed which took up most of the event, the symposium was improvised, but it was much more than a panel of experts. Trumpeter Paul Smoker, who brought his jazz ensemble from Nazareth College, and percussionist and vibe player Kevin Norton, who was here with his trio Counterpoint, both riffed on some great stories of why they “keep beating their heads” against the wall of indifference that confronts their music. Both have deep and long association with jazz and those who ply its less traveled paths like Anthony Braxton (who both played with on several projects). As Smoker put it, playing the music and the focus and drive it has given him saved his life. Guitarist Adam Caine, whose trio finished up the night brought the perspective of a younger artist who was just coming up in the jazz world. Sometimes I forget my age, how much "fun" I've already had and how much I'll pay for it later (why do you think I'm doing this on Monday...? ), and because sometimes I just feel like I don't want a particular evening to come to an end. Well, it does ... it becomes morning. I met up with Ken and Seth at the Strath to discuss strategy for blogging and podcasting during the upcoming jazz festival Saturday night and listen to John Eckert with the Bob Sneider Quartet, which that night was missing Bob for part of the evening as he was playing guitar with the RPO and Byron Stripling, Wycliffe Gordon, Peter Appleyard, and Chris Vadala over at the Eastman Theatre for the 85 Years of Jazz program, RPO's last concert of the season, which Dianna and I had the pleasure of seeing Friday night. After the RPO gig was over, Bob and the whole bunch showed up at the Strathallan (which didn't surprise me as I expected they were staying there). Wycliffe took out his horn and blew some beautiful ballads with the band. My friend Jimmie Highsmith Jr. was there as well. A second set, a scotch and a beer later, as people were all packing up. I found out Wycliffe and Jimmie were heading over to the Flat Iron Café to play with Quinn Lawrence and his trio (Kate Gentile on drums and Ben Thomas on bass), at their regular after-hours gig on Sunday morning at the Flat Iron. I decided that it had been awhile since I saw Tom LaBue, Flat Iron's owner and I had a cigar burning a hole in my pocket, so I went over. Good choice . . . .
After awhile, Wycliffe and Jimmie showed up and unzipped their gig bags. 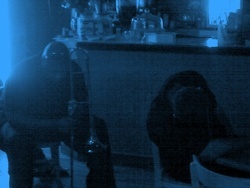 They sat at tables facing the trio, or got up and joined them and faced us. They were just jamming. They weren't playing for a crowd—there was just me, Tom, a couple that Tom knows who enjoy hanging there, and a guy who spent most of the time sleeping on the table (that's him in the one picture . . . he's not ducking to avoid Wycliffe's slide). There's nothing like listening to great musicians jam early in the morning, just sitting around and playing for the sheer joy of it. The music flowed for several hours. This type of thing happens with some regularity at the Flat Iron. I'm afraid jazz doesn't happen like this anywhere else (if I'm wrong, let me know), except for an earlier version of "after hours" during the festival (the Flat Iron has the real after hours all week during the RIJF). But there is one thing missing...you. Tom is fighting the odds to keep jazz music flowing at the Flat Iron. He's a true urban pioneer and has created a great oasis of music, dance, and libation at the corners of Corner of Lake, Lyell, Smith, and State Streets. Take a chance and check out something out there or any of our struggling jazz haunts. You don't have to do the 3:00 am thing, but you'll miss a unique experience of some great music if you don't. On Saturday night, Dianna and I went to check out the first show in the Exodus to Jazz Series. Series promoter Jose DaCosta began the series with Rochester's own Paradigm Shift, who appeared with vocalist Annie Sellick and small and young brass section. Annie sang on Paradigm Shift's most recent CD, Street Expressionism, and her set with Mel Henderson and the guys was fun and gave me a chance to experience a jazz singer who, before hearing PS's new CD I had not heard before (other than that CD). A young white woman in dreadlocks and a red dress, Annie Sellick was full of life and good stories, both in song and in between song banter. She hails from Nashville, but the Southern lilt disappears in song as she worked her way through her set. Dianna thought Sellick sounded somewhat like Nancy Wilson and I can hear some of that. She started with a tune "Soulful Dress" off her new CD A Little Piece of Heaven, which Annie was nice enough to send to me before the gig (thanks, Annie). With a funky, New Orleans beat, the song had the woman at the next table up dancing with my wife before it was over. Paradigm Shift was their usual grooving selves and it was a treat to hear Gerry Youngman playing a full B3-style organ; he was really cooking. Another reason I wanted to write this post is to encourage my readers to get out and support this series. Jose is bringing some incredible talent to Rochester (check out Ron Netsky's review of the series in City). During the first set at 7:00 pm at least, a number of no shows ticket holders left the middle seats in the downstairs club in VENU mostly empty. Jose's all about the music and, while he had the $ from the tickets, what he really wanted was to share his love of this music with actual people in those seats. I just hope the 9:15 set had a better response (it looked like it was heading that way, but perhaps someone will let me know how it went?). The artists did all right (heck, I've seen the Paradigm Shift guys play to a house of 3). However, if Rochester can't get out and support this music more consistently we won't see much more of it. OK, climbing down off my soapbox now . . . . It occurred to me the other night that the Montage Grille has apparently passed (again) from the Rochester music scene. As far as I can tell, it went under quietly following the tragic circumstances that occurred there in July of this year. It's not he first fade out for the Montage; it has happened before. In the pages of the earlier incarnation of this blog, I noted much about the Montage and it has been a love-hate relationship (for example see here, here and here). However, the music I've heard there has been some of my greatest music experiences, rivaling the best I experienced in Chicago. 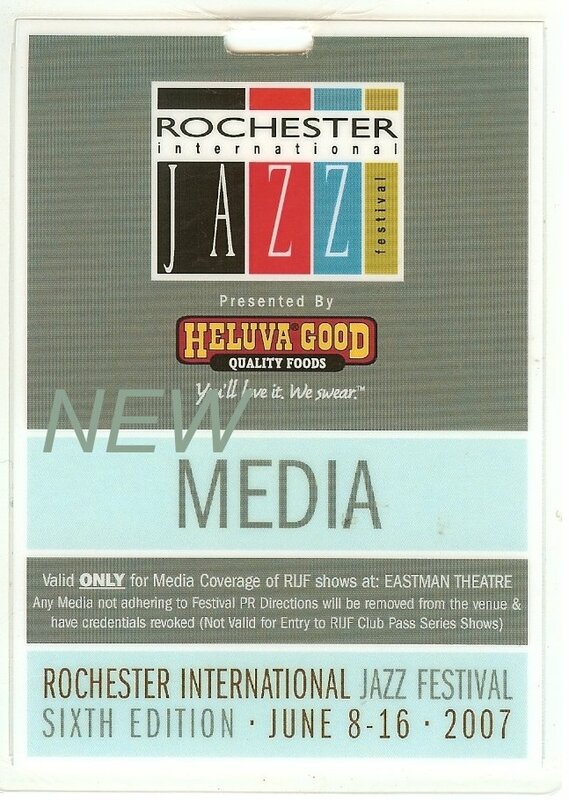 Of course, as you can see by my postings from past Rochester International Jazz Festivals, the Montage was where most of the artists I wanted to see played. In addition, I've seen a rich diversity of music there over the past few years, including: Thomas Mapfumo, Alejandro Escovedo, Maria Muldaur, and John Hammond. Although the business plan of Montage was never completely clear (am I a restaurant, am I a bar, am I a club?) and it sometimes enforced really bizarre policies about reservations for dinner trumping everything else in seating (OK, it's not that bizarre for Rochester), while it clearly tried to book a truly diverse selection of local and national acts from all ranges and styles of music, including some great live jazz, unlike any other club in town. Like so many others, I didn't get out to see enough there, so I too share in the underlying causes of its demise. However, there is another factor that contributed to its end—fear. By connecting the tragic death outside the club to the music playing inside the Montage, it seems that Police Chief David Moore probably sealed the deal on the Montage by connecting it to violence. The Chief tried to recast the violence in terms of a battle between two separate hip-hop camps (calling to mind the well-known feuds in rap music that have lead to deaths) with absolutely no evidence or thought of how it might affect a viable business in the heart of downtown Rochester. He then made it clear that there would be no hip hop music without clubs giving the city advance warning. The music was not the cause of the shooting death that occurred outside the club (apparently after it closed); the many causes of the behavior of individuals that resulted in that death are known and they are not attributable to music. What does this have to do with this blog that is focused on jazz music? For starters, we may have one less venue for the RIJF, with another major leap in growth in attendance likely to occur. Additionally, while jazz was not the Montage's main focus, its programming included some great jazz artists throughout the year. Water Street may be picking up some of the slack (quite alot so far), but fewer venues will lead to less, not more. Moreover, in order for the City of Rochester to rekindle a lively and vibrant downtown, it will need to nurture places like the Montage, which was one of the few anchors in an area of dowtown that needs businesses to survive in order for those plans to work. I heard nothing about this after the article on the shooting and I pay attention to these things. Did I miss something? What happened? If you know the real story, please comment to this post. Added 9-16-2006: Well, this post may have been somewhat premature. As I was adding a comment to ROCWiki to let people know that they were no longer there, I gave the Montage's phone number—(585)232-1520—a call to see if it was still in service. It was and there was an announcement dated September 15th about their Grand Re-Opening weekend ands a Save the ROC benefit being held this weekend.